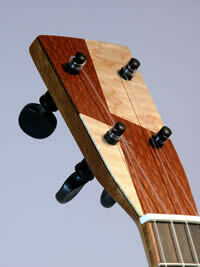 The traditional choice for necks is Mahogany, which we have used since we began. 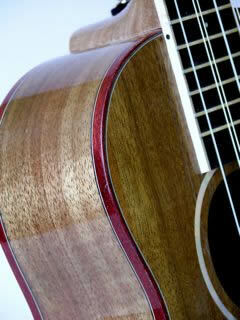 Our standard fretboard has been Ebony. It has been the proven choice for fretboards due to its density (stiffness), durability (resistance to wear) and color (the near black color doesn't show marks). 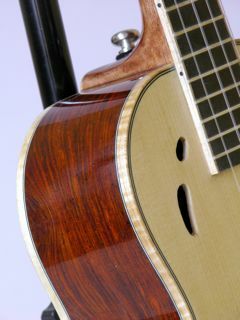 Our standard bridge has been Rosewood or Ebony (we are now just using Ebony). They are the proven choice for bridges due to their density. 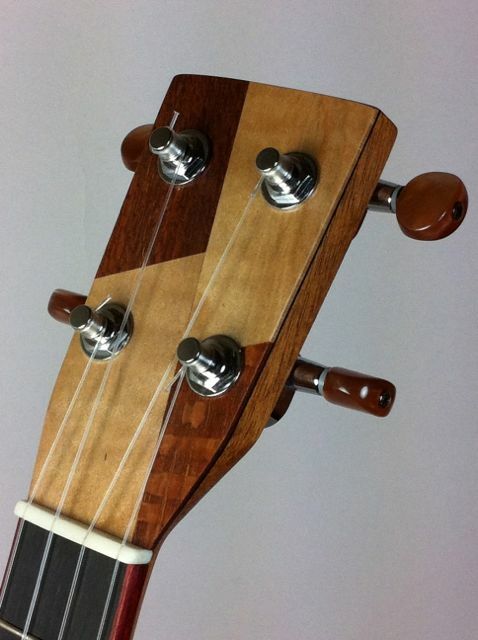 We are now offering (no additional cost) a Port Orford Cedar (POC) neck, also reinforced with a carbon fiber rod. 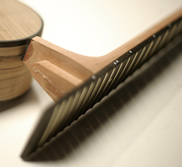 It is also lighter weight, and it is a softer wood that can be scarred more easily. 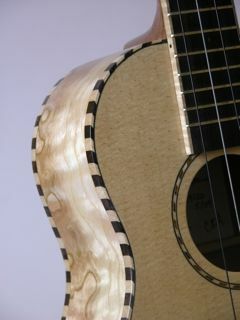 Bird's Eye Maple is our alternative offering for fretboards. 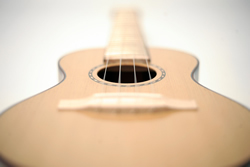 It is quite dense and durable, and has been used successfully on many of Fender's electric guitars for years. 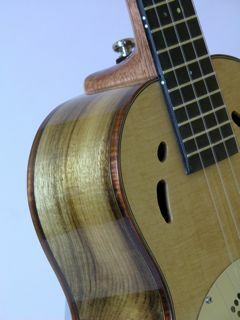 Maple is the bridge we use in our Cascade Series bundle. It is quite dense and we believe will perform very well as a bridge. Peghed Geared Tuners standard for this model. 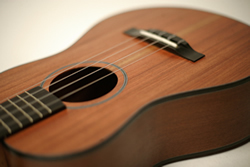 The premium oil finish offers superior acoustics and playability. 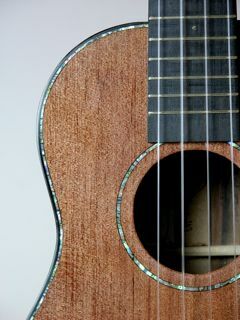 This finish is so thin and light that it has very little acoustic impact. 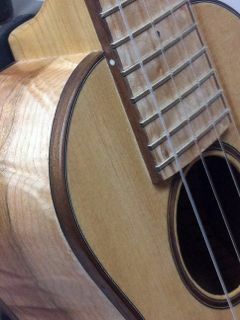 And, it's silky smoothness yields a very fast-playing neck. After hand sanding to 600 grit, I apply 4 hand-rubbed coats of Tru-Oil sanding with 0000 steel wool in between each coat. I then apply lemon oil to the instrument. 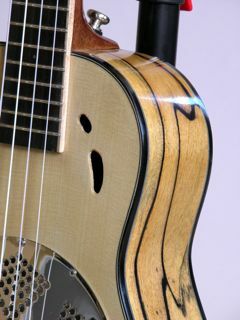 The hand rubbed oil finish is currently my only finish option and is preferred due to it's satiny luster and it's preservation of the instrument's tonal quality. 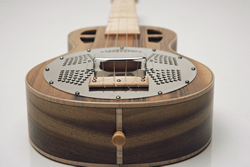 Resonator instruments are notoriously difficult to amplify--not only because of the acoustic properties, but also because of the space and access limitations. 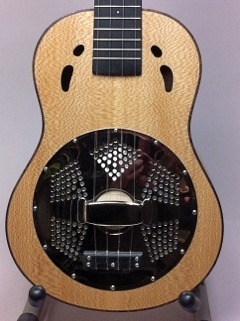 The Schatten Biscuit Bridge Resonator pickup, made in Canada, is warm and balanced. 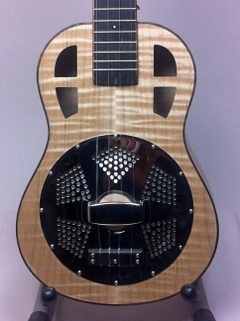 It is specifically designed for a biscuit bridge resonator instrument. It is a passive pickup, which is lightweight with no on-board electronics. We use Worth brand fluorocarbon strings. 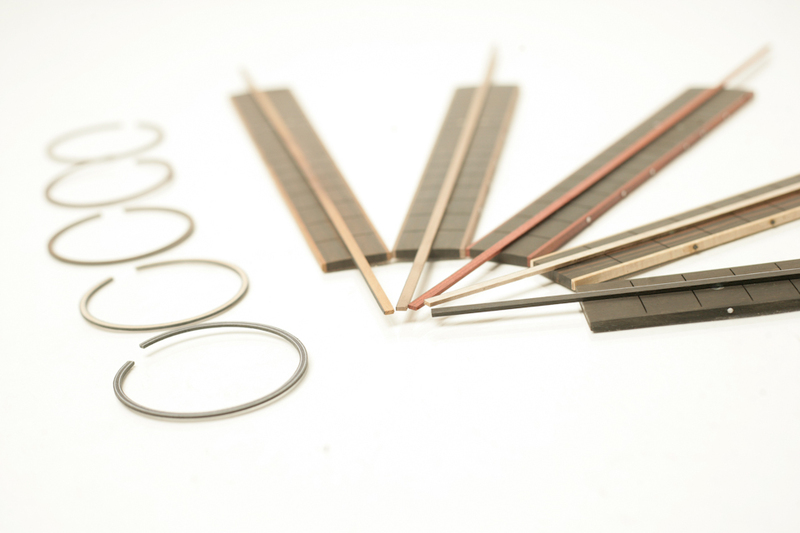 Lap Steels are strung with a custom set of D'Addario steel strings. Congratulations! 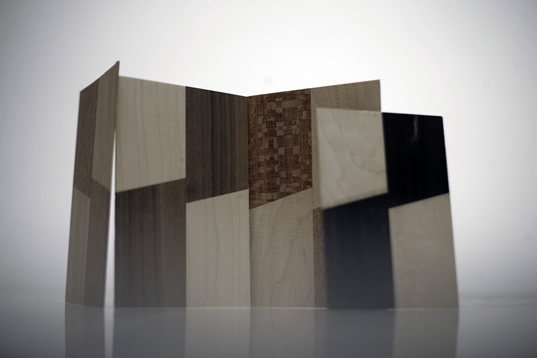 Your current configuration includes all Cascade Series woods. We will have a tree planted in your honor. You will have the opportunity to add notes & questions when you submit your configuration request.